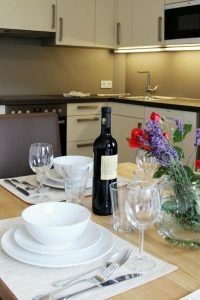 Contact Sport Ruetz (details at the foot of this page) to book some of the best apportioned apartments available – just a short walk from the superb Westendorf Golf-course. 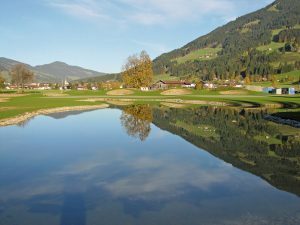 The „Golfplatz Kitzbüheler Alpen Westendorf“ lies in the middle of a sunny high-plateau at the heart of the Austrian Tirol. The 18 hole, championship course opened in 2014. The Driving Range and Practice Area have been in use since the beginning of 2013. The alpine village of Westendorf is a top favourite with English-speaking guests from around the globe. It is easilly accessible by plane, rail and car. Westendorf has much to offer for families – not just golfers. Englisch Text Copyright © 2013 – 2017 atTirol.com. All rights reserved. For luxury Golf accommodation contact us here at Apartments Ruetz Westendorf Brixen Valley- details below. If you care to telephone, ask to speak to the owner and keen golfer Andi Ruetz for up to the minute offers and advice. Der Golfplatz Kitzbüheler Alpen Westendorf liegt inmitten eines Sonnen-Hochplateaus im Herzen Tirols. Das einzigartige Panorama, die unberührte Natur, die herrliche Luft, die Auen, Biotope, die intakte Fauna und Flora laden zum Verweilen ein. Mitten in der Golfregion Kitzbühel gelegen, ist er jeweils nur ca. 15 Minuten von der Inntal-Autobahn (Abfahrt Wörgl) und von Kitzbühel entfernt.